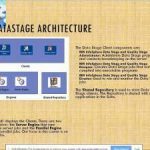 DataStage is a part of IBM Information server. To extract the data we need from multiple sources and transform it in ways to make it more valuable. DataStage is defined as an ETL tool which abbreviates as Extract, Transform and Load. DataStage is classified in two engines called Server engine and Parallel engine. Are you hoping to learn DataStage, you have arrived at the right place. In this DataStage tutorial blog, you will learn essential to advance DataStage concepts in very simple way. On the other hand, you can watch the below video by our Data Stage Industry Expert along with practical sessions. Powerful, scalable ETL platform—supports the collection, integration and transformation of large volumes of data, with data structures ranging from simple to complex. Support for big data and Hadoop—enables you to directly access big data on a distributed file system, and helps clients more efficiently leverage new data sources by providing JSON support and a new JDBC connector. 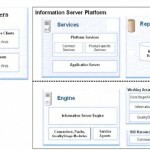 Near real-time data integration—as well as connectivity between data sources and applications. Workload and business rules management—helps you optimize hardware utilization and prioritize mission-critical tasks. Ease of use—helps improve speed, flexibility and effectiveness to build, deploy, update and manage your data integration infrastructure. 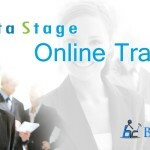 BigClasses is one of the best online training organizations offer DataStage training. We have qualified and experienced faculties who are responsible for taking the online sessions. We provide study materials and 24 hours support to our national and international learners as well. 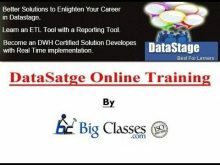 If you are interested in DataStage online training, contact us for the detailed course and the free demo classes. Next: What type of technology would you like to learn today?